Classic metal pull by Richelieu. Delicate design with rustic but unobtrusive center detail and ends will provide a nice update to your kitchen or bathroom dicor. Traditional Metal Pull 3 3/4 in (96 mm) CtoC - Brushed Nickel - Laurelton Collection Gently arched classic bow pull with a flared base by Richelieu. An instant and elegant upgrade to your furniture or cabinets. 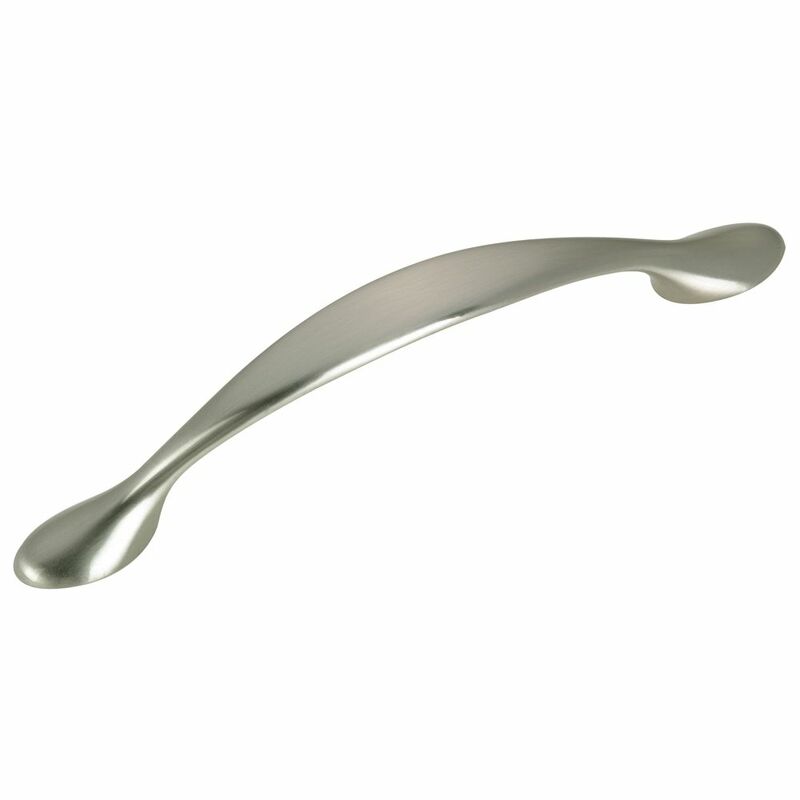 Traditional Metal Pull 3 3/4 in (96 mm) CtoC - Brushed Nickel - Laurelton Collection is rated 4.7 out of 5 by 3. Rated 4 out of 5 by Mickic from Very pretty! Just a little tricky drilling new holes on some very old cabinets I refinished. With 4 coats of white enamel and these nice knobs and pulls it was well worth the effort and really brightened up camp. Rated 5 out of 5 by ApexMom from Nice Brushed Nickel Pull The brushed nickel pull was perfect for our home remodel project. It's a nice design and reasonably priced.